Have you recently tried to type the words "it" or "is" on your iPhone only to have the Apple keyboard attempt to autocorrect them to "I.T." or "I.S.?" If so, you're not alone. Reportedly hundreds of users have complained across messages boards and Twitter about this autocorrect issue, some dating all the way back to September. 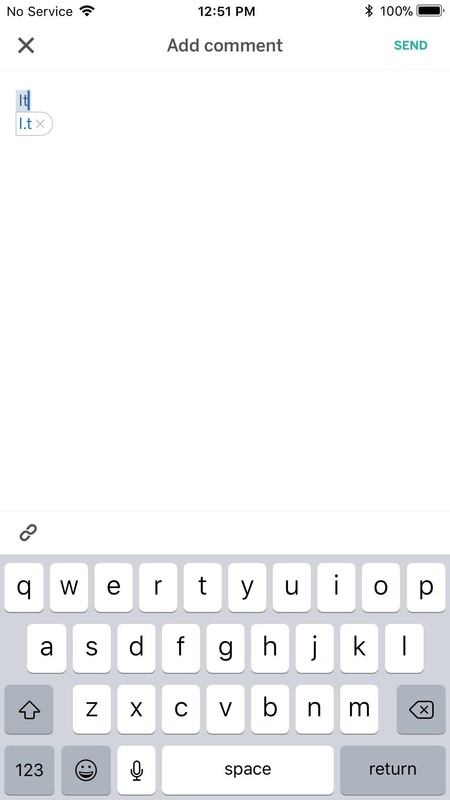 Users either have to tap the correct spelling in the QuickType window or delete the word and try again. Even adding a text replacement doesn't seem to solve the issue for some users, as seen below. Apple is apparently instructing users plagued by the bug to reset their keyboard dictionaries. While it appears this reset is a fix for some, others find the bug returning nonetheless, which is a shame considering how much of a pain this "solution" is — a keyboard reset results in the deletion all learned words on your iPhone. Your device will have to relearn all words again, potentially battling autocorrect bug after bug. Of course, you could turn off autocorrect entirely. However, this would certainly prove to be more of a hassle for some. This is far from the first time iOS 11 users have complained of persistent autocorrect bugs. Earlier this month, the internet blew up over a glitch where the letter "i" would be autocorrected to "A [?]." Like now, Apple offered an initial solution in the Settings, however, for that glitch, it was a less drastic response — users simply had to create a text replacement for the word "I," so when they would type the letter "i," it would autocorrect back to "I." Again, this trick doesn't seem to work for the "is" or it" problem, at least not for everyone. Eventually, Apple released an iOS update that addressed the glitch. Perhaps we will see the same happen for this current "I.T. / I.S." glitch. Maybe in iOS 11.1.3 or the upcoming iOS 11.2. Until then, the guide linked below could help you out.